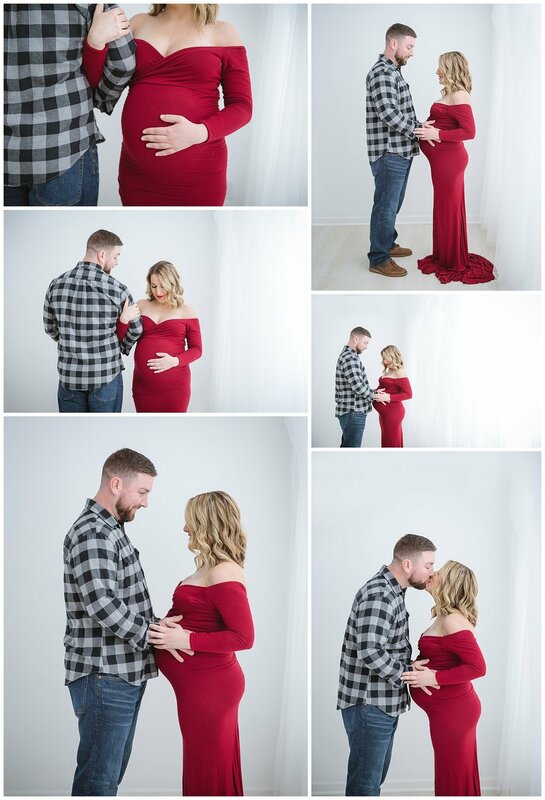 Last weekend, we had the beautiful Stephanie and her boyfriend in for her pregnancy photo shoot. We had her in during the fall for her design consultation first. We talked about all of her expectations and how she really loved the milk baths that she was seeing on pinterest. Perfect! We have done a few maternity milk bath’s this point and we planned to do her shoot in January since she is due in February. Fast forward a few months and the big day was here. We had Emily, one of our FAVORITE make-up artists, come and do her hair and makeup. She looked flawless. Not too much since Stephanie never wears make-up and Emily did perfect. Please enjoy Stephanie’s maternity milk bath session!